Greenstone Trail by Winston Cowie climbs to Number 22 on Amazon Kindle in the history book category for Australia and Oceania! And a big year ahead with the launch of both ‘Flames Flicker’ as an ebook and ‘Conquistador Puzzle Trail’, a book which assesses early Portuguese and Spanish voyages to Australia and New Zealand – it will change how Australians and New Zealanders view our history. Greenstone Trail by Winston Cowie – No. 22 Oceania history book on Amazon Kindle! Greenstone Trail is a New Zealand historical fiction novel (ebook) which spans Fiordland, the South Seas, Auckland, and brings to life the key events and people of the First Taranaki War of the 1860s. It is the first part of Winston Cowie’s New Zealand historical fiction series. To purchase Greenstone Trail on Amazon Kindle, click here. To download the ibooks app for free, click here. 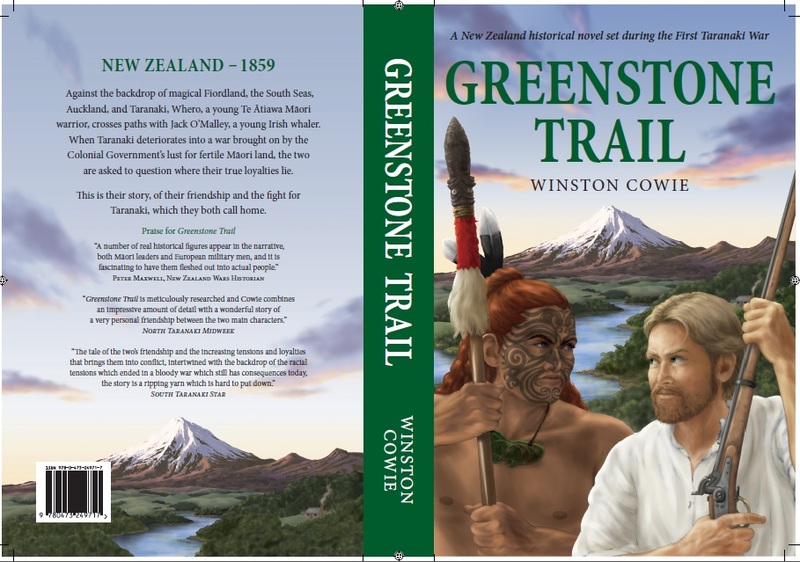 And to purchase Greenstone Trail by Winston Cowie from ibooks, simply type in ‘Greenstone Trail’ and you will be on your way to learning about the fascinating and largely unknown New Zealand Land Wars of the 1860s, written in an interesting historical fiction style. Flames Flicker is a New Zealand historical fiction novel (ebook) which spans the Invasion of Waikato, the Chatham Islands, East Cape, mystical Ureweras, and Second Taranaki War. It will be released as an ebook in early 2015…. It is the second part of Winston Cowie’s New Zealand historical fiction series. Watch this space! A Flame Flickers in the Darkness – Get one of the few remaining hardcopies! 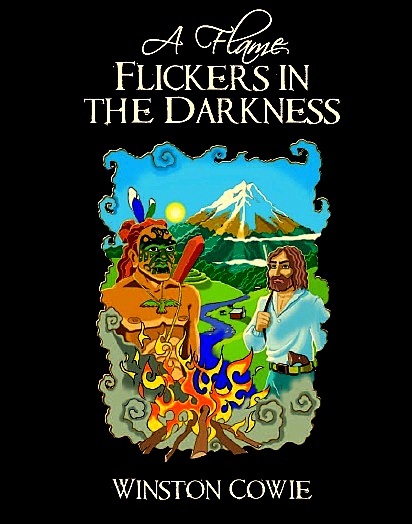 To booklovers in New Zealand, you can purchase one of the few original hard copies of ‘A Flame Flickers in the Darkness,’ from which the ‘Greenstone Trail’ and ‘Flames Flicker’ ebooks are based, via Fishpond by clicking here. Great for a January and February read under the pohutukawa. A note, you have to be in New Zealand to order a hard copy. I have recently completed writing this non fiction book which will change how Australians and New Zealanders view our history. It introduces 20 puzzle pieces that make up the ‘Conquistador puzzle,’ the conclusion of which is that the Portuguese most likely, and on the balance of probabilities, discovered New Zealand and Australia, over 82 years before Willem Janszoon, 118 years before Abel Tasman, and 245 years before James Cook. It is a modern day adventure in that it contains excerpts of my activities in getting to the bottom of each puzzle piece, as presented in the fascinating feature documentary ‘Mystery at Midge Bay – Discovering New Zealand’s oldest shipwreck.’ It includes the likes of discovering old shipwrecks in Dargaville, chilling oral tradition in respect of buried Spanish helmets, pohutukawa trees in Spain, and the search for a buried treasure.